Governments can still meet the emission reduction target as set under the Paris Agreement but only with “rapid and far-reaching” transitions in the world economy, the leaked IPCC says. Governments can still meet the emission reduction target as framed under the Paris Agreement but only with “rapid and far-reaching” transitions in the world economy, the report says. 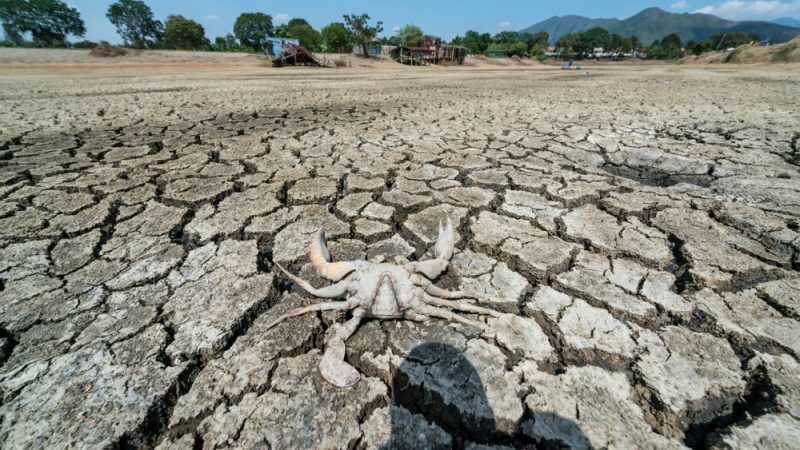 The Intergovernmental Panel on Climate Change (IPCC) is due to publish its final report in October in South Korea after revisions and approval by governments. It made an official statement following the leak. “Draft reports are provided to governments and reviewers as confidential working documents and must not be publicly distributed, quoted or cited. This is out of respect for the authors and to give them the time and space to finish writing before making the work public. For these reasons, the IPCC does not comment on the contents of draft reports while work is still ongoing,” the statement reads. The IPCC is the leading international body for the assessment of climate change. It was established by the United Nations Environment Programme (UNEP) and the World Meteorological Organization (WMO) in 1988 to provide a clear scientific view on the current state of knowledge in climate change and its potential environmental and socio-economic impacts. They are of crucial relevance in international climate negotiations, where diplomats have to juggle extremely diverse topics, exponential and sparse scientific knowledge, and diplomatic struggles that are sometimes based more on positions of principle and ideas. At the local level as well, the credibility of the IPCC’s conclusions plays a role in the implementation of climate-compatible public policies and climate projects, which often still conflict with other perspectives, such as industrial development. This is why Bert Metz, Fellow at the European Climate Foundation and former Co-chair of the IPCC Working Group III on mitigation on climate change, emphasises the importance of urgently limiting temperature increase to 1.5C in order to reduce climate risks. “As was clear from a number of scientific studies that were published recently, there is now a lot of evidence that the risks of climate change are significantly lower when temperature increase is limited to 1.5°C, compared to an increase of 2°C. This holds for the overall economic damage, loss of biodiversity, health impacts of fossil fuel associated air pollution, sea level rise- particularly over the next hundreds of years – and many other aspects of society and nature,” he said. He also highlighted what he sees as the current inadequacy of governments’ national contribution to reducing greenhouse gases emission. The leak was published ahead of two ministerial-level events on climate change next week, designed to prepare the ground for a successful COP24 outcome which will take place in December in Katowice under Poland’s Presidency. On 18 and 19 June, Germany’s Federal Environment Ministry and the Government of Poland are hosting the 9th Petersberg Climate Dialogue in Berlin. This informal meeting of ministers and representatives from 35 countries focusses on the implementation of the Paris Climate Agreement and preparation for the COP24, and will be chaired by Federal Environment Minister Svenja Schulze and the President-designate of COP 24 Michał Kurtyka, State Secretary at the Polish Energy Ministry. On Tuesday (19 June), Chancellor Angela Merkel will give a speech on climate policy. On 20 and 21 June, the Ministerial on Climate Action (MoCA), co-convened by the EU, China and Canada will take place in Brussels. Between these two meetings, climate is also expected to be on the agenda at the bilateral summit of Chancellor Merkel and French president Emmanuel Macron on 19 June., a meeting which Commission President Jean-Claude Juncker is also expected to attend. How about the champions for EU integration and sustainability and RES, Mr Rutte? So; now that it is estabished that the IPCC reports and reality have sadly parted company, they are testing the water to see what level of far-fetched absurdity they can get away with? That all seems fairly straightforward to me. And anyway, there is always someone else to blame, isn’t there? I am sure you are correct, but your observations are too obtuse for me. Can you exlain? I hate to have to be the one to have to point this out. But hydrogen is the only way to *cost effectively* reduce fossil fuel imports (subsidised by €115bn per year) and decarbonise the many industries and sectors that are impossible to electrify: high-temperature industry heat, long-distance transport, dispatchable power and seasonal energy storage for heating. Out of the €50bn outlined for approximately 10 years – there is virtually nothing allocated for hydrogen at all. This displays a complete disconnect between objectives and reality within the EU; and says a lot about the level of competence that exists. We don’t have time to wait for various members of the EU to sit and ponder the meaning of existence, or our value as human beings. We need them to do some work.